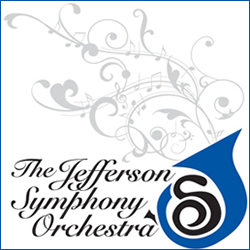 The Jefferson Symphony Orchestra performs a concert in Wheat Ridge Colorado, in March. Our March concert features Samuel Vargas, winner of Jefferson Symphony’s 2019 Young Artist Competition. At just 22, Mr. Vargas stands out as a disciplined musician and charismatic performer. Samuel Vargas debuts and performs his winning selection, Sibelius’ Violin Concerto, with Jefferson Symphony Orchestra. Selections from ballet and opera scores, jubilant melodies from the Cinderella Suite (Prokofiev) and the always-rousing Prelude to Die Meistersinger (Wagner) complement JSO program repertoire. Tickets are $25 for adults, $20 for seniors—discounts for students and children.